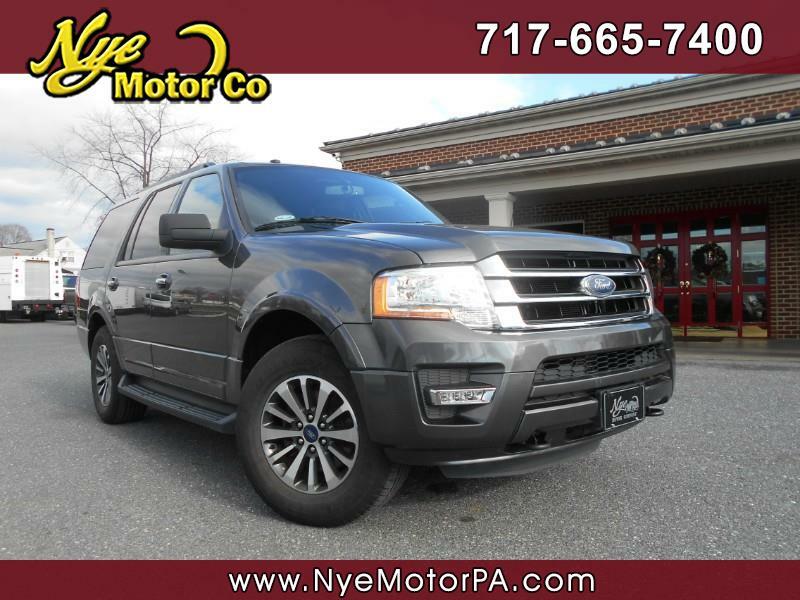 Used 2017 Ford Expedition XLT 4WD for Sale in Manheim PA 17545 Nye Motor Co.
****1-OWNER****CLEAN VEHICLE HISTORY REPORT****XLT TRIM PACKAGE****4-WHEEL DRIVE****SEATS EIGHT****MUST SEE**** Like new 2017 Ford Expedtion XLT 4WD with only 45K miles! Outfitted nicely with 4-Wheel Drive, Sync, USB, Line In, Seating For Eight, 12V Power, Cd, Bluetooth, Steering Wheel Mounted Controls, Adjustable Pedals, Cruise, Tilt, Automatic Headlights, Power Driver Seat, Running Boards, Luggage Rack, Tow Package, Rear Climate Control, Hill Descent Control, Back Up Cam, Heated Exterior Mirrors, Alloy Wheels, and More! Under the hood sits a finely tuned 3.5L, V6 Ecoboost engine paired to a smooth shifitng automatic transmission. Call today to schedule your test drive.